Pepe Mujica has become famous for being the „world’s poorest president“. The former guerrilla fighter and flower grower is currently considered one of the most charismatic politicians of Latin America. Old and young believe in him thanks to his humble lifestyle and his unconventional manners, where political protocol is concerned. His political visions, among them his sensational regulation of the marihuana market, have created international interest. Since the spring of 2010, Uruguay has been led by a president who, as a young man, revolted against the power of the state he now heads with both words and arms. Pepe Mujica was a founding member of the urban guerrilla group „Tupamaros“, which fought the state in the repressive Uruguay of the 1970s. During the dictatorship he spent many years in prison, during which he was also tortured – a time that formed, but did not break him. 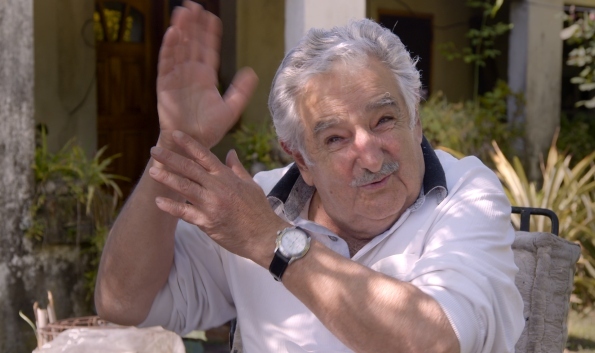 Over the course of many years, the filmmakers visited Pepe Mujica, who is now 80, over and over again, documenting his eventful existence with their camera. In private meetings and conversations on his farm, which he still runs with his companion Lucía Topolansky, he grants them an insightful glimpse into his unusual beliefs and visions.